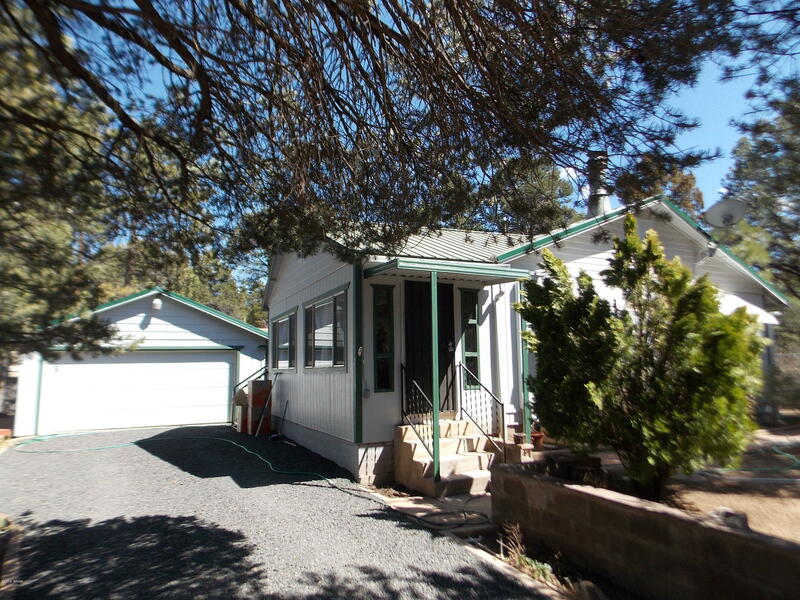 Great property to start out in or just use as a weekend get-away. Completely fenced with RV gates and a garage. Plenty of Ponderosa pines and some fruit trees as well. Plenty of room for a garden, Fido and the kids to play. Living room with wood -burning fireplace for those cool nights. Sun room with laminate flooring and plenty of windows for all the natural light. Great deck areas for all your outdoor enjoyment. DOUBLE LOT- METAL ROOF- OUT BUILDINGS.!! !